About Graybach: General Contractor in Cincinnati, Ohio | Graybach | Construction Management, General Contracting, and Design Build in Cincinnati, Ohio. 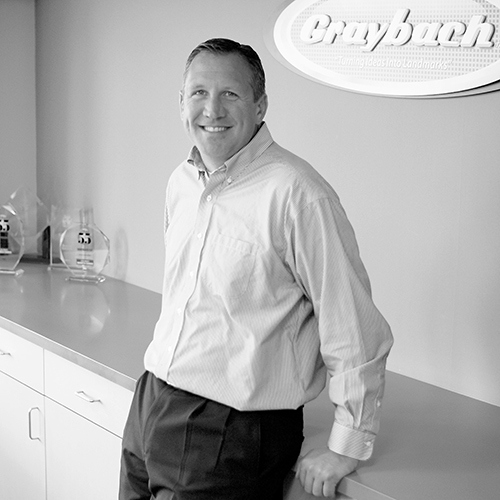 Graybach was founded in 2007 by a team of ambitious entrepreneurs who shared a common goal of quality. While working on various construction projects, the founders noticed that the construction world operates unlike many other service industries in that customers are all too often subjected to unreliable, dishonest, and unqualified contractors. Graybach has been established as an alternative to this trend and offers quality general contracting and construction services that focus on the customers’ needs, budgets and schedules. Our customers appreciate our honest, attentive and forthright approach to construction. 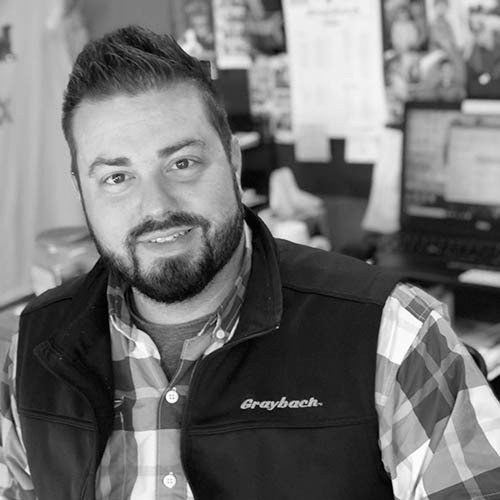 Although Pete is an owner of Graybach, he is hands-on in everything from business development and job estimation to contract generation and project management. 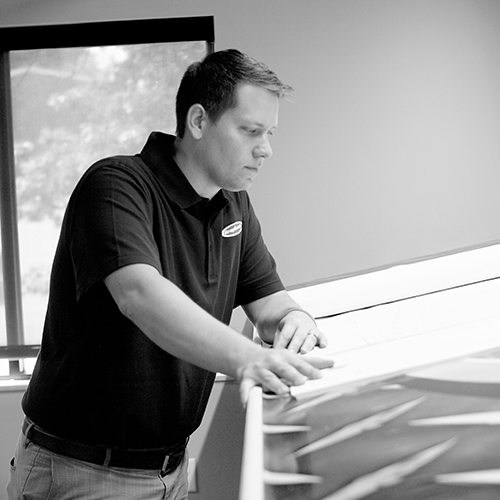 Pete was born in Massillon, Ohio, and after graduating from Stark State University, moved to Cincinnati to work for a downtown architecture firm, Speer & Associates. 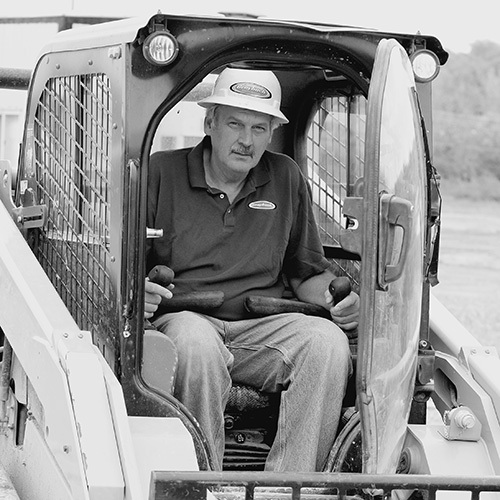 Before founding Graybach in 2007, Pete managed large commercial construction projects for construction management companies, Cleveland Construction, and Sigma Capital. In addition to spending time with his wife and two kids, Pete always enjoys a round of golf with friends and business associates or fishing with his son, especially their annual fly fishing trips out west. In the fall and winter months, you can find him playing basketball with his neighborhood league or watching football, betting on a game or two (“it makes the game more interesting”). From the age of 10 to 16 years old, Pete ran his very own grass cutting / landscaping service, manicuring lawns for 15 neighborhood families. Fayetteville Board of Education Administration Building, Graybach’s first bonded job. Tyson is an owner of Graybach and in that capacity performs a number of roles for the Company including accounting and finance, HR, IT, asset management or any other task of the day. Tyson is a born and raised Cincinnatian graduating from the University of Cincinnati with an accounting degree. Prior to Graybach, Tyson, a CPA, worked in the audit groups for PricewaterhouseCoopers and Grant Thornton as well as provided accounting consulting services to various companies in and around Cincinnati. In the off chance that he is not working or thinking about work, Tyson enjoys spending time with his wife Erica and two children “down at the lake” (Lake Cumberland) boating, water skiing, and the occasional round of golf. Tyson plays basketball weekly and also enjoys watching sports with family and friends. If he finds himself with a few free hours, you might find Tyson reading a sci-fi book or playing a classic video game or two. Since Graybach has become so involved in the redevelopment of Over-the-Rhine, Tyson has become an OTR junkie and drags his West Side friends down to OTR hangouts on the weekends. Tyson’s favorite project is the renovation of the historic Globe Building. The building’s upper floors offer terrific views of the vibrancy of Findlay Market and the first floor will be housing Jean Robert’s French Crust and Bistro adding another place for Tyson to grab lunch or an after work cocktail. 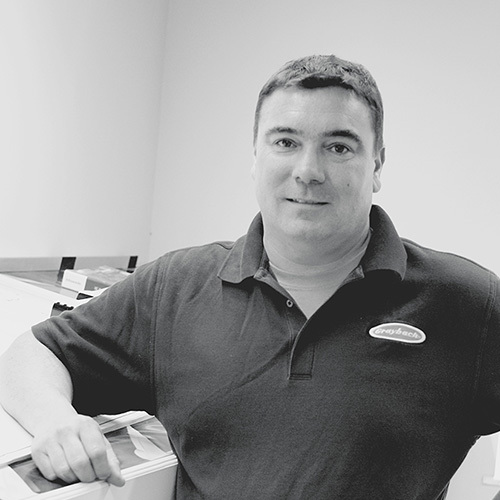 Nathan has been with Graybach since the beginning, in 2010. 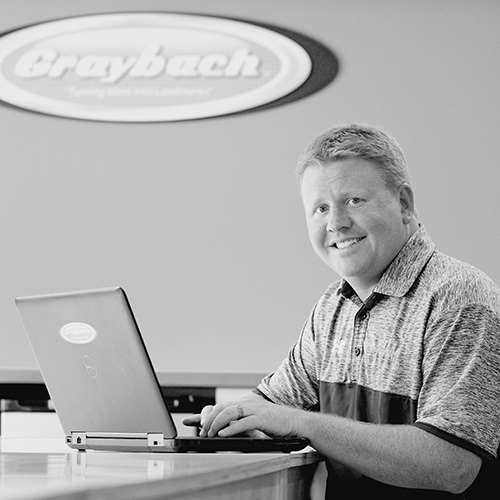 He was the first of Graybach’s now many Project Managers, and also wears the hat of Estimator to keep the company’s plate as full as possible. A lifelong Cincinnati resident and graduate of the University of Cincinnati, Nathan came to Graybach from Cleveland Construction where he managed large-scale builds like Wal-Mart, etc. 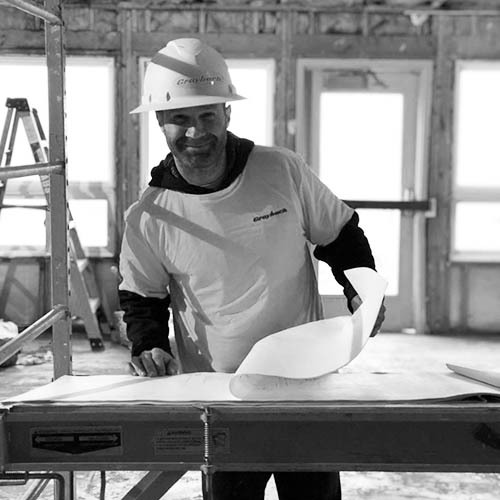 When he’s not spending time with his kids enjoying everything from movies, music, sports, parks, and science, Nate can usually be found tackling one of a dozen ongoing renovation projects in his house with earbuds intact and listening to a book on Audible. He likes checking out new restuarants and planning getaways with his wife, and once in a blue moon gets a chance to (as his kids put it) “kill bad guys” playing PS4 online with his brothers. Is commonly known to make up fictional words in a game of Scrabble and hope no one calls his bluff. Holtman’s Donuts in OTR. And not necessarily because he has a weakness for their magical morning delicacies. Mike lives with his wife, Laura, and their three kids: Ella, Jack, and Luke. He loves to golf, and stays involved in Covington Catholic Alumni. His kids go to St. Joe’s in Crescent Springs where he volunteers, recently did Girls on the Run with his daughter, and coaches boys youth soccer. Mike’s free time is pretty consumed by all of the above in his “About Mike” section. Before coming to Graybach, Robbie worked for Fifth Third…and was actually introduced to Graybach by a colleague there. Since getting married in 2016, Robbie spends most of his time with his wife, Gina, and their fur baby, Izzy. Since Gina’s dreams are now also his, Robbie does whatever she says (LOL). No better time than now to chip away at the ‘ole bucket list! Robbie frequently travels with his wife, all over the globe. His most recent adventure was Machu Picchu. He also stays busy with anything volleyball, beer, hiking, or fireball-related. Robbie lived in Germany playing serious volleyball after college. Also, his Ohio State friends call him Bob, but in everyday life he goes by Robbie and never Rob. Perhaps more of a disturbing than fun fact, Robbie has a curious obsession with scrutinizing people’s shoes. Every job, since they all seem to be right by his dad’s house. Jason is born and bred in Cincinnati, where he went to Northwest High School and later got his Civil Engineer Construction Management degree from Cincinnati State. He joined Graybach in April 2013 as a Project Manager / Estimator and has held his own during the company’s explosive continued growth. 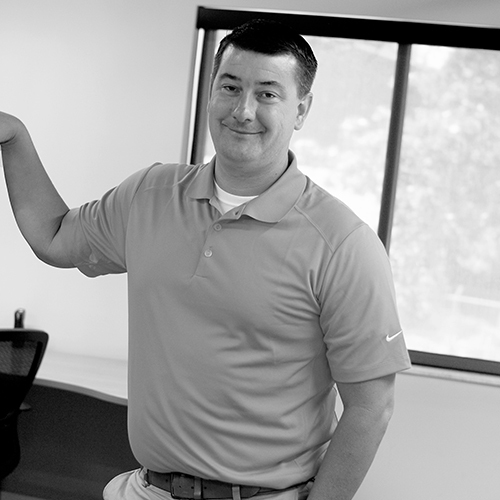 Outside of work, Jason loves going boating with his family and friends to Lake Cumberland, Norris, and Dale Hollow. He also has a tendency to overcommit to helping friends out with their house projects. Jason was promoted to the elite position of Eagle Scout at the age of 15. It was a tough decision, but the winner is 127 Mulberry Street. 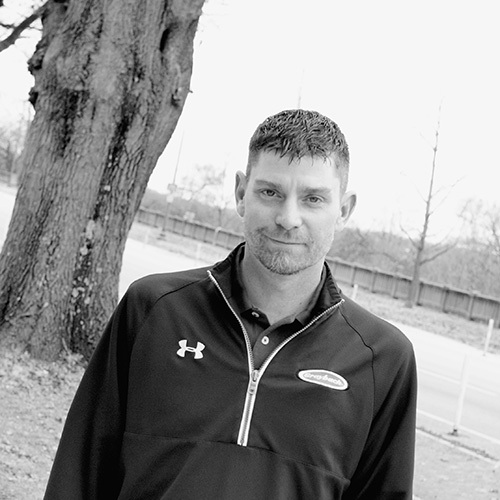 Shaun started out with Graybach in 2014 as a Superintendent and has since moved into a Project Management and Estimator roll for the company. 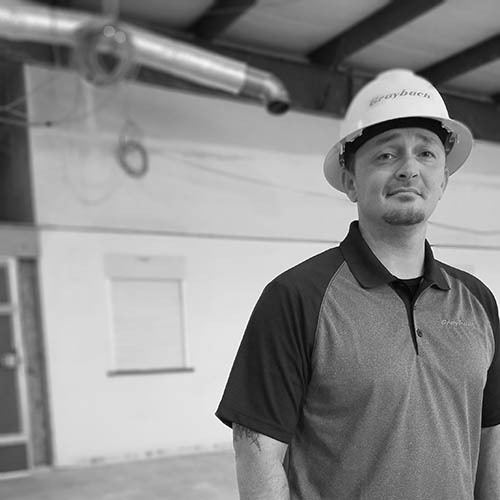 A graduate of Northern Kentucky University Construction Management Program, Shaun came to Graybach with an extensive background in construction. 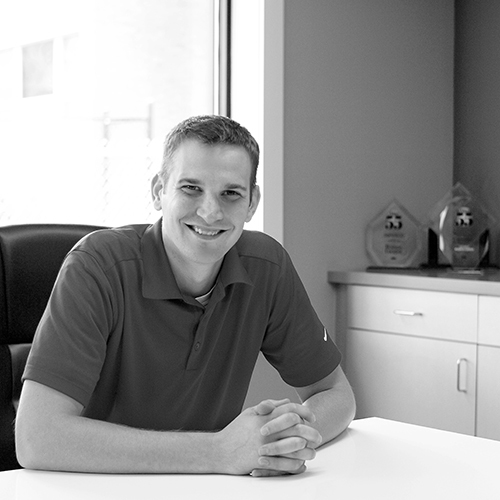 Shaun has worked as a Construction Administrator for KLH Engineers and a Supervisor for Drees Homes. In his free time, he enjoys spending time with his wife and four children. Shaun also enjoys fishing and hunting, spending time outdoors, woodworking, art and baseball. Shaun volunteers teaching art class at Ft. Thomas Independent Schools. Shaun is also a member of the Northern Kentucky University Construction Management Advisory Board where he helps to grow the Construction Management Program both locally and nationally. Shaun’s favorite Graybach Projects are “The Osborne” and “French Crust Bistro”. Reid is from a small town east of Toledo, Ohio, but claims he’s from Michigan. He joined the Graybach team in December 2017. He is a graduate of Wittenberg University. Prior to joining the Graybach team, he was a Project Manager/Estimator for a construction company out of The Villages, Florida performing Residential and Commercial construction. Even further back, he was a Project Manager for a Contract Dredging company out of Leesburg, Florida. He and his family (wife Megan and two children, Parker and Quinn) moved back up north to be closer to family. 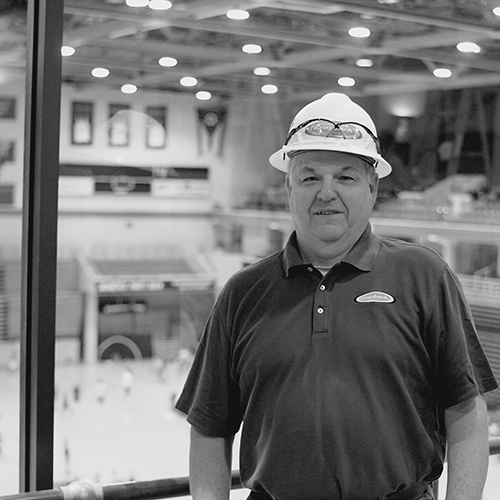 The projects that he has been involved with include: DMG Mori, Menards (Fairfield, Miamisburg, and Tipp City), St. Clair Township Salt Barn, University of Cincinnati (Nippert Stadium Scoreboard and Men’s Shower Expansion), and the Northern Kentucky Cooperative for Educational Service. In his free time, Reid enjoys spending time with family. His children love the going to the Cincinnati Zoo to see Fiona and the Meerkats. He and the fam love hopping around the Tri-State to every variety of parks, games, theatre, the aquarium – you name it. Weather-permitting, they spend time at their lake house on Nolin Lake in Mammoth Cave, KY, where they swim, boat, 4-wheel, and sit around campfires. Of course, Reid also loves tackling home remodel projects or watching the Michigan Wolverines Win and the Detroit Lions Lose (that comes with being a diehard Lions fan). Aside from random sports fandom (Philadelphia Flyers, Michigan Wolverines, Detroit Lions, FC Cincinnati), Reid’s big love is his love of dogs. Faves: Dachshunds and Corgis. What’s not to love about an animal that has 4” legs and a 3’ body? There is also a design/build project that’s in the beginning stages for a bar in Harrison, Ohio. He has really enjoyed the beginning design process with the owners and generating different ideas for the space. I was born in a small town, taught the fear of Jesus in a small town…. Used to daydream in a small town in Indiana, before moving to Morehead State University. Well I moved down there at the age of 18, blew the boys away, was more than they’d seen. She said I dig you baby, but I gotta keep moving on, to Cincinnati. 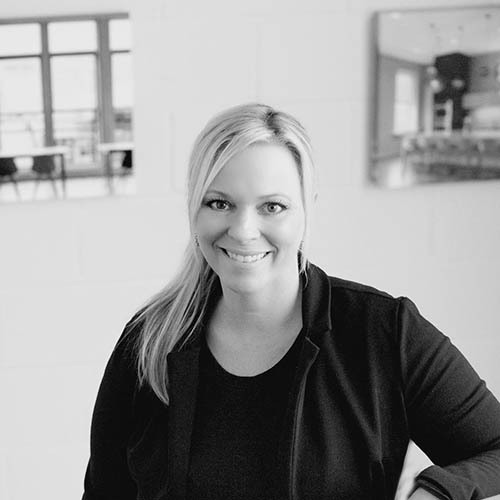 After moving to the tristate area and graduating from NKU, Erica worked at Toyota Motor Manufacturing, responsible for project management work in the Engineering department. 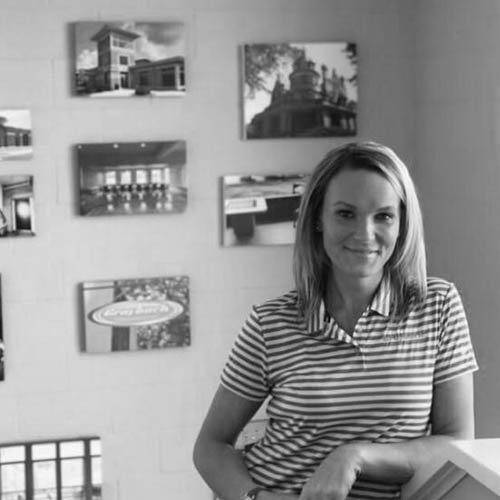 When Graybach was founded in 2007, she left Toyota and began her new career at Graybach. Her position and responsibilities include but are never limited to Contract Compliance, HR, Payroll, Merchandising, Event Planning, Accounts Payable/Receivable, Delivery Driver, Photographer, Designer. Erica loves doing elementary homework with her two children and shuffling them from practices, to games, and to recitals. She is also privileged to coach cheerleading and volunteer at her children’s school. Should she have some true free time, boating is her family’s life. It is the one true place they all “disconnect”. Her nieces and nephews call her “Aunt Toe” because she has a HUGE toe. The new Graybach office on Central Pkwy — she had the opportunity to be hands-on in selecting colors, finishes, and furnishings. About Kelly: Check back soon! In Her Free Time: Check back soon! Fun Fact: Check back soon! Favorite Graybach Project: Check back soon! She loves working with her hands and being creative. She loves trying new things and keeping herself busy – Cari’s favorite place to be is in the garage in the summer, covered in paint and sawdust and working on the latest project. When she don’t have a paintbrush or a power tool in hand, she loves to spend time with her fiancé and three gentle giants: one yellow lab, one golden retriever and one black lab/border collie mix. Really any of the historic renovation projects we’ve done. 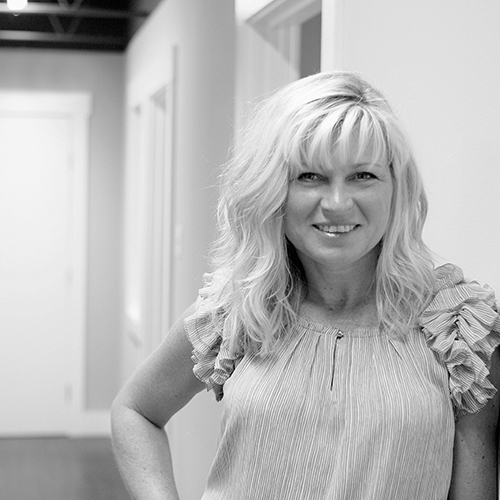 It was Graybach’s portfolio of work that sparked her interest in the company enough to want to work here. She grew up in Clifton near OTR, and it’s those types of revitalization efforts that she wants to be involved in. It’s been utterly amazing to see how Cincinnati has changed in the past 10 years! Hails proudly from the Hoosier state of Indiana where he grew up on a farm in a small town, about an hour west of Cincinnati. Being raised on the farm taught him not only the value and benefits of hard work, but how to work with his hands at a young age. Travis graduated from the school of hard knocks with a Master’s Degree. 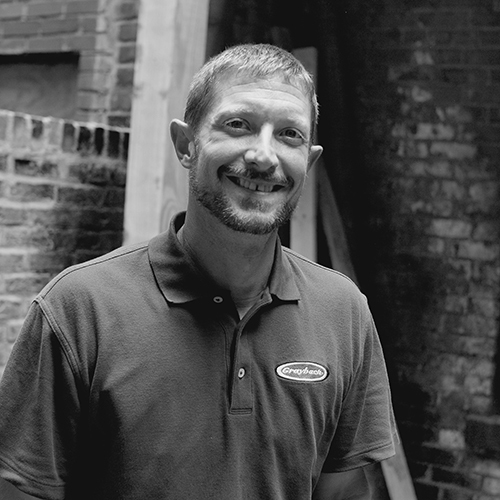 Travis began his industry experience in Residential Construction over 15 years ago. He started as a laborer, then trained as a carpenter, then moved up to Field Superintendent specializing in new home community developments. He literally learned construction from the ground up, no pun intended. 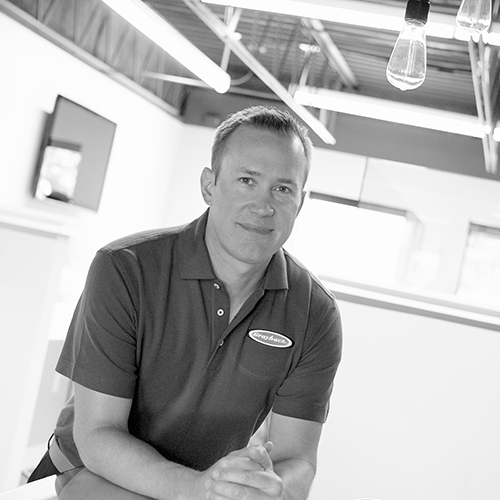 He has been involved in hundreds of construction projects to date and now specializes in restaurant construction. Travis enjoys spending time with his wife and 2 sons. He coaches his sons in baseball and basketball and is a volunteer Cub Scout Den Leader. He likes being outside doing a variety of outdoor recreational activities. Before learning construction, Travis used to engrave and set tombstones. You would be surprised to know how many people die of natural causes within a week of their birthday! Travis’s favorite Graybach project is ZBGB in OTR. This stands out because of the historic architecture of OTR mixed with the modern trends and styles. 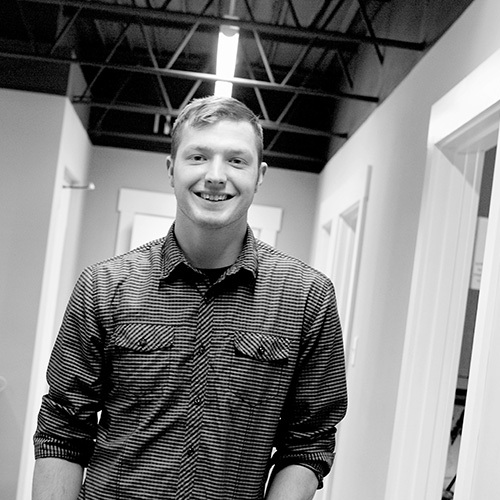 Born and raised in Cincinnati, Matt went to Elder High School, then moved on to Diamond Oaks, and wrapped up taking night classes at Cincinnati State. Over the years he worked with various upscale builders through the years, until he eventually started his own residential home-building company. Matt likes spending time with his family and grandson. He enjoys woodworking, and even built a custom toy box for his grandson last Christmas from a salvaged door. He keeps his marriage exciting by finding new places to have brunch every Sunday with his wife. As kids, he and his brothers would build a go cart, drive it down the hill until it crashed, then build a new one. UC Arena luxury suites. His first solo job with the company. 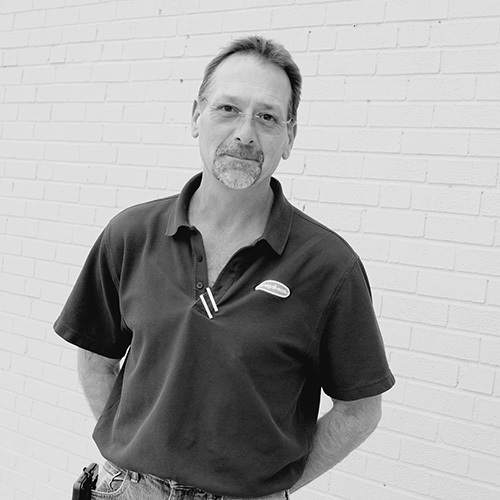 Ernest was born and bred in Middletown, Ohio, where he met his wife in high school and still lives happily married today. 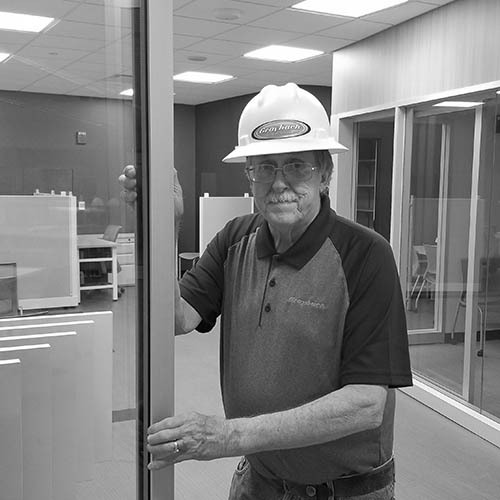 His professional experience runs the gamut, from dishwashing and painting to industrial sandblasting and installing multiple fueling facilities. He moved into a Superintendent role several years ago, and has since gained a wealth of knowledge about the construction industry. 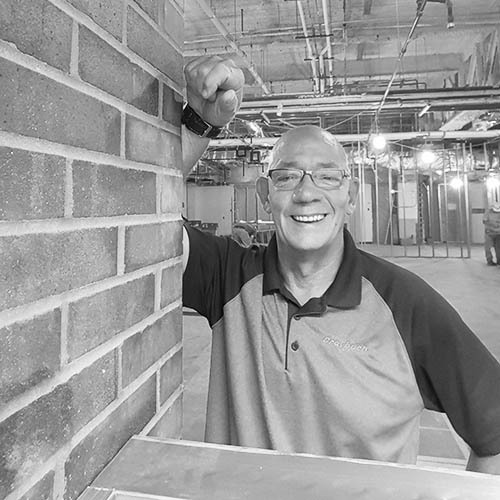 Working at Graybach gives him a daily challenge to exceed expectations, and working in Cincinnati allows him the opportunity to see old constructions transformed into new wonders. He spends his free time wisely – relaxing with family, listening to his vinyl collection, and enjoying some good food and drinks. His favorite project so far is definitely the whole Globe building renovation from top to bottom: offices, Peoples Liberty space, French Crust Bistro. Cincy native, along with my wife, Monica. Together we have raised five children. I have spent 30 years in the residential construction industry. In my free time I enjoy spending time with my grandchildren. Joel is an awesome badminton player. Definitely the Graybach design/build addition of General Mills. Brad was born in Canton, Ohio, and lived in a town called Hartville until 1986. He then moved to Cincinnati and attended Anderson high school, graduated, and joined the army. From 1989-1993, he served in the first Gulf War, and was later honorable discharged and disabled due to service-related injuries. He has worked in construction and construction management ever since. When he’s not working, he’s working on my house, riding his bike (constantly being rebuilt and repainted), shooting guns, boating, or drinking beer. Favorite project is the Clifton library due to the complexity of the project, and the transformation seeing the building go from its starting condition to its restoration at grand reopening. Lee was born and raised in Cincinnati. 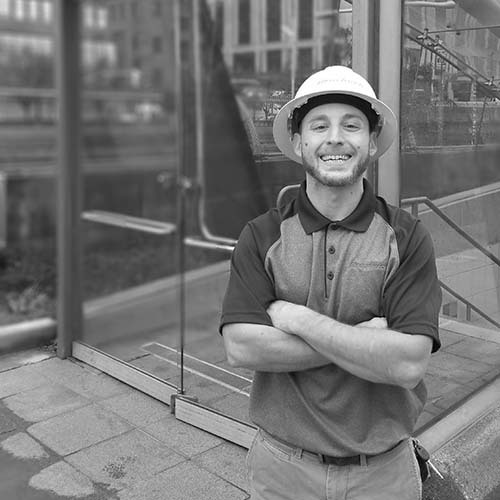 He started working in residential construction as a sophomore in high school. 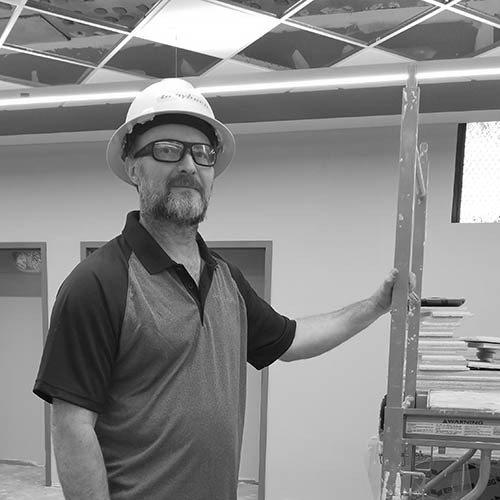 After a 4-year stint serving in the Marine Corps Reserves for 4 years, he returned to building his career in commercial construction. In his free time, Lee enjoys outdoor activities like golfing, hunting, and fishing. He also frequents NASCAR races. I practiced taekwondo for 13 years and in 1988, I missed qualifying for the Pan American Games by 2 points. Renovating Graybach’s current headquarters at 2416 Central Parkway. 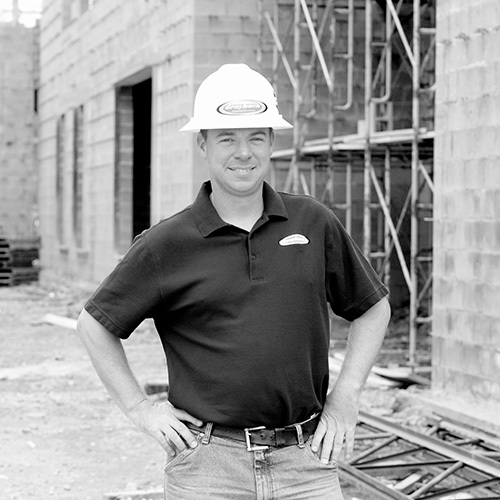 Born and raised in Ft. Thomas, Kentucky, Tony graduated from NKU with a Bachelor’s degree in Construction Technology and an Associate degree in Construction Management. He worked for a large residential builder for over ten years as a Superintendent, building both single and multi-family homes before joining Graybach in May of 2016. Tony lives in Newport with his wife Jessie and two children, Julia and Corbin. He enjoys camping, golfing, boating, fishing and hunting, as well as spending time at their family vacation home on Lake Huron in Northern Michigan. I love springer spaniels and my dog Daisy may be the smartest dog on the planet and listens better than my children! My favorite Graybach project was the relocation of the murals to the Duke Energy Center. I am very proud to have been involved with saving and preserving these city icons. About Jesse: Check back soon! In His Free Time: Check back soon! Fun Fact: Check back soon! Favorite Graybach Project: Check back soon! Jim came to Graybach in early 2018 with an entrepreneurial background in real estate, property management & retail. His previous position as a Project Manager/Superintendent involved new construction & conversion of buildings in OTR into luxury properties. He’s always learning. 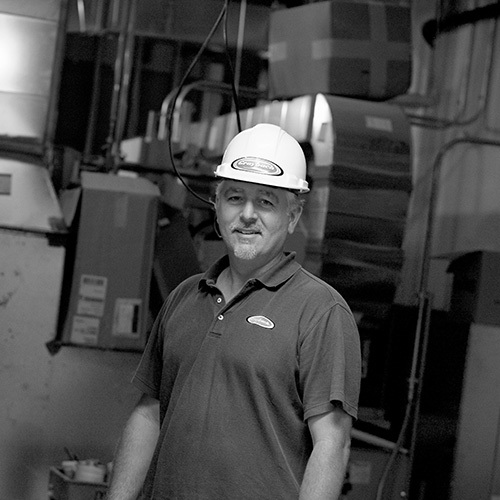 Jim enjoys taking classes & learning more about sustainable practices in construction. He also enjoys reading and walks with his dog Pete. And according to Jim, “I also enjoy moonlight walks on the beach, pina coladas, & getting caught in the rain. (just kidding, delete that part please)”. Anything that has to do with his backyard smoker. Whether it is chicken, beef, pork, seafood, if it will fit in my smoker, he’ll smoke it. All of them. Sounds hokey, but each project and the people you meet are so different from the previous project. You learn so much from each one. About Dan: Check back soon! In His Free Time: Check back soon! Fun Fact: Check back soon! Favorite Graybach Project: Check back soon! He’s a newbie! Before Graybach, he worked for an Architect for several years. Chris completed 2 college degrees after serving in the ARMY, and before that, in his glory days he was a Cable guy for Time Warner Cable. He likes to annoy his wife and kids by acting like he’s am 10 years old with a speech impediment. Chris restores classic cars with friends, and right now is working on his first solo project. He dives into World of Warcraft when he has absolutely nothing else to do or needs to escape a house of intense females. He acts nothing like he looks or what people perceive of him. Chris is a self-proclaimed HUGE nerd and always has been. He often thinks of what he would do with certain Superpowers like Captain America’s super soldier abilities or Magneto’s ability to manipulate metal at an atomic level. He’s also very much into Education, especially history and loves to debate politics with anyone who can have a reasonable discussion about it. Braxton Cann Health Center, hands down. Why? Because it’s his first job with Graybach. About Justin: Check back soon! In His Free Time: Check back soon! Fun Fact: Check back soon! Favorite Graybach Project: Check back soon! About Michael: Check back soon! In His Free Time: Check back soon! Fun Fact: Check back soon! Favorite Graybach Project: Check back soon! Clint’s been working for Graybach since 2016. He started working in construction for his father, who built custom homes, as soon as he could walk! 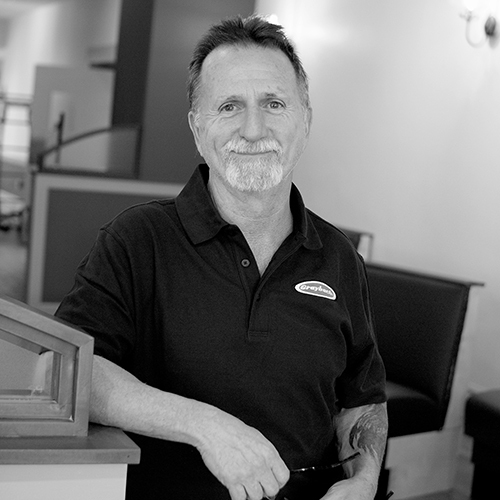 Clint’s done many trades in the construction world, from trim carpenter and cabinet maker to glazer and stained glass window maker. Clint enjoys fishing, wood working, and building things. Oh, and spending time with his family and dogs. He used to own a Game Store/Hobby Shop in Milford. How to choose! He’s Worked at BA Cafe, Race Street Condos, EMC, Summit Park Tower, and UC CCM. 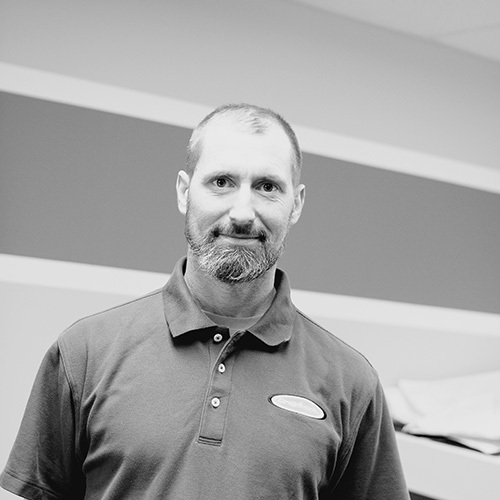 Jason’s been with the company since 2017, with jobs at Blue Ash Tower, West Union Square and Menard’s Tipp City under his belt. His most recent job before Graybach was serving in the United States Army for 9 years in Military Intelligence and Aviation as an Unmanned Aircraft Operator. 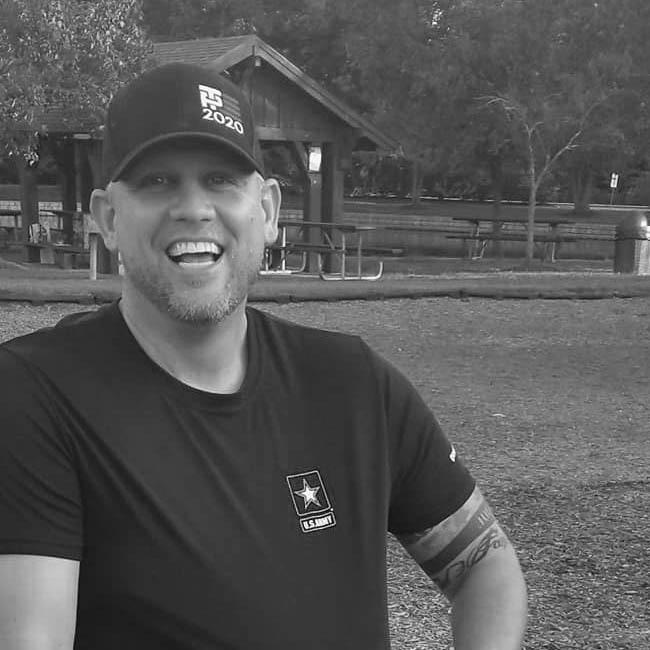 Jason served two tours In Afghanistan and left the Army as a Sergeant First Class. In his free time between spending time with his fiancé and three crazy little girls and working towards his Bachelor’s degree, he likes to design items he wants to build. 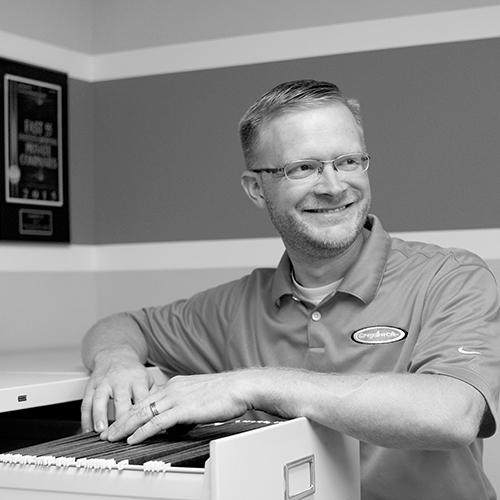 With his Associate’s degree in graphic design and advertising, design is something he’s passionate about. Favorite project he’s been a part of is Tipp City Menard’s. Because it’s easily the job that has helped him grow as an Assistant Superintendent and helping him reach his professional goals. Graybach, LLC provides general contracting and construction management services to the public and private commercial markets in Cincinnati and surrounding regions. © 2018 Graybach, LLC provides General Contracting and Construction Management services to the public and private markets in Cincinnati, Dayton, Northern Kentucky, and Southwest Indiana. With a focus on timely project completion, honest pricing and communication with the owners throughout the project, Graybach LLC is the company for all of your commercial and residential construction needs. Website created by CheronaWorks.